Join The Royal Exchange on Wednesday 21 November for our annual Christmas tree-lighting ceremony. 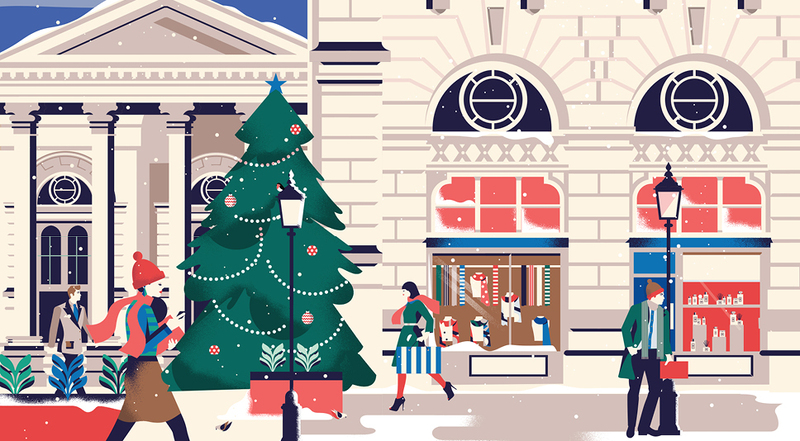 This year’s event coincides with the momentous opening of Fortnum & Mason at The Royal Exchange, which will be decorating the magnificent 25ft tree in festive splendour. The lights will be switched on by our guest of honour BBC Strictly Come Dancing presenter Claudia Winkleman, the East London Chorus will be performing traditional carols, and complimentary festive treats including mulled wine, hot chocolate and mince pies will be served by Fortnum’s iconic red coat staff, enhancing the seasonal ambience of the evening. Following on from the tree-lighting ceremony, guests are invited into The Royal Exchange’s historic central courtyard to enjoy late-night Christmas shopping and masterclasses, including a wreath-making workshop with the renowned London florist Jamie Aston, guaranteed to fill you full of festive cheer and gifting inspiration galore. The Royal Exchange 2018 Christmas tree-lighting ceremony will take place on Wednesday 21 November from 6pm. Please gather in front of the steps, at the main entrance on the western side. For more information and directions on how to find us, please click here.